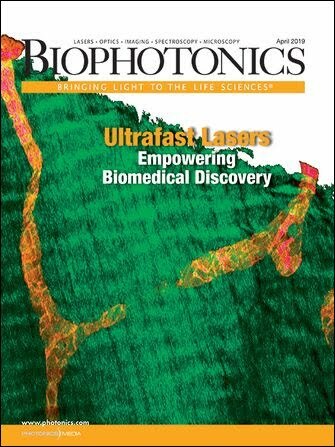 Optical trapping supports a variety of applications throughout the biomedical research arena. Using light beams to create force gradients, it enables investigators to trap and control suspended particles and even to build three-dimensional nanostructures. But the technique is limited in application: It cannot be used alone with particles smaller than the wavelength of light, including DNA fragments, oligonucleotides, proteins and peptides. Researchers have developed methods to overcome this limitation. With one, for example, they attach the smaller molecules to larger particles called “handles.” Still, the technique is hampered by the practical issues of controlling larger particles. Investigators with Protein Discovery Inc. of Knoxville, Tenn., California Institute of Technology in Pasadena and Oak Ridge National Laboratory in Tennessee wanted to find a way to move proteins without using larger particles. Thundat and his colleagues at Oak Ridge — including Robert J. Warmack and Gilbert M. Brown — therefore developed a technique they call photoelectrophoretic localization and transport. It uses beams of light incident on a photoconductive semiconductor surface to create controlled electric field traps, allowing them to transport charged molecules across the surface. Thundat likens this to moving the proteins through microfluidic channels, with an important difference. The technique requires a photoconductive electrode and a counterelectrode, which can be a small-area electrode, a large conductive surface or even another photoconductive surface. They are kept in contact with an electrolyte containing the molecules to be moved. An external circuit applies voltage between the electrode and countelectrode, and this in turn creates a layer across the electrode that becomes conductive only in those regions illuminated by the laser. In a recent demonstration of the method, the researchers used a 543-nm HeNe laser made by JDSU of Milpitas, Calif. They transmitted the laser through the electrolyte and sample, resulting in a spot roughly 1 mm in diameter. They positioned the beam — and, thus, the traps — with motor-controlled mirrors driven by LabView software from National Instruments of Austin, Texas. As detailed in the April 25 issue of PNAS, James B. Harkins, Charles E. Witkowski and Dean G. Hafeman of Protein Discovery used the setup to perform “dynamic steering” of a mixture of proteins in an aqueous electrolyte. The researchers were assisted by Nathan S. Lewis of California Institute of Technology. First, they used the method to concentrate the proteins, accumulating them from a 3-mm to a 1-mm spot. Then they moved the beam of light in a counterclockwise direction, repositioning it in 2-mm steps every five minutes. They observed the proteins moving with these steps as a single packet of charged molecules; the proteins had been stained with different colors so that the scientists could observe separation during this process. They also showed that they could divide a protein sample into two packets and could transport them independently with separate high-field traps. After accumulating the sample into a smaller spot, they split the laser beam into two illumination spots, each with the same intensity, duration and diameter, spaced about 3 mm apart. They increased this distance by about 3 mm every five minutes, and the packets of charged molecules followed. The researchers noted that theoretical predictions indicate that the charged molecules would lag behind the traps if they were moved faster than 10 μm/s. Translating the molecules at a rate of 3 mm per 5 min works because it is equal to this. In separate experiments, they confirmed that the relative velocity of the molecules dropped precipitously when they moved the light beam at a rate higher than 10 μm/s. The technique could transport a variety of biomolecules in addition to proteins; for example, oligonucleotides, DNA and RNA. Therefore, it has potential for a number of applications, including the manufacture of biochemical arrays, the transport, reaction and assembly of nanostructures and other polymeric materials in microreaction volumes, and electrochromatographic separation. It offers several advantages over conventional approaches to separation, which involve gel electrophoresis and require high voltages and bulky equipment and which take longer as the molecules move over very large distances. But before the technique is ready for widespread application, the researchers must incorporate a relatively inexpensive photoconductive material as an electrode. Currently, they are using germanium, which costs more than silicon. Materials such as titanium oxide would be considerably less expensive, Thundat pointed out. They plan to test this material this summer.